Investors remained cautious ahead of the US Federal Reserve’s key policy decision later this week. A widened current account deficit, which rose to 2 per cent of the GDP at USD 13.5 billion in the December quarter, too, weighed on investor sentiment. 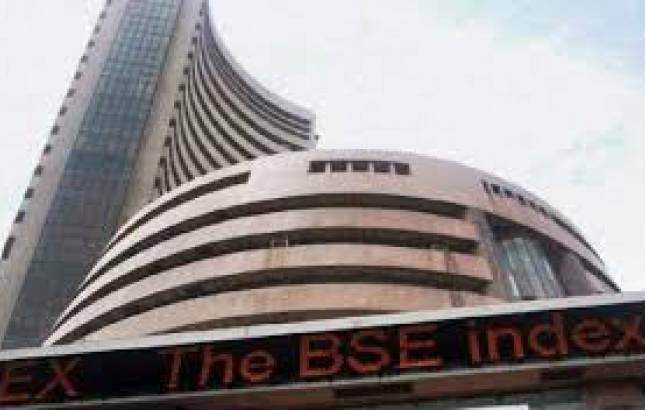 The BSE Sensex dropped over 100 points led by selling in metals, energy, oil & gas, realty, IT, Teck, telecom and power stocks amid weak domestic and global cues. The 30-share index was trading 100.30 points, or 0.30 per cent, lower at 33,075.70 at 1200 hrs. The broader Nifty index was trading below the key 10,150-level at 10,149.65, down 45.50 points, or 0.45 per cent. Major losers were Adani Ports, Tata Steel, Coal India, Wipro and Asian Paint that fell up to 4 per cent. Meanwhile, on a net basis, foreign portfolio investors (FPIs) sold shares worth Rs 150.46 crore, while domestic institutional investors (DIIs) sold equities to the tune of Rs 770.53 crore last Friday, provisional data showed. Most Asian markets were trading lower as caution gripped investors ahead of the US Federal Reserve policy meeting later in the week. US stocks ended modestly higher on last Friday with the S&P 500 breaking a four-day losing streak.